This is a series of brief weekly videos by Personal Trainer Conor Doherty looking at various aspects of Performance Training for Hockey. For an in-depth discussion of this subject check out Gymchat 194, and of course Star Factory Fitness. Great site. A great way to get started with bands. The next phase of your trap bar training. A brief introduction to this wonderful exercise. What should you be doing before a workout? Invaluable Tool, or Flavour of the Month? Looking for a great conditioning drill for Hockey? Try this. How do you become faster? Dumbbells. Photo by Peter J Bellis. I've been working out for quite some time now and have spent quite a bit of time in local gyms and commercial gyms when I've been away from home. The thing about commercial gyms and membership facilities is that they are not in the most convenient place you know, your home. Press This. Photo by Jason Lengstorf. Being a bit of a 'gym rat' I've seen a bit of how people operate. 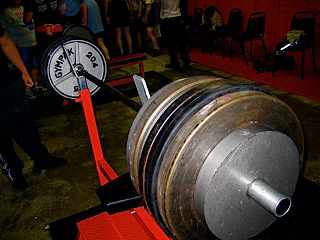 Some are putting up impressive numbers all over the place, while others are only concerned about putting 2 plates on each end of the bar and benching it. Ya, it's a pretty big accomplishment and ego boost once you're able to bench 225lbs (that's two 45lb plate plus the bar), but it shouldn't be the only thing that these monkeys strive for. 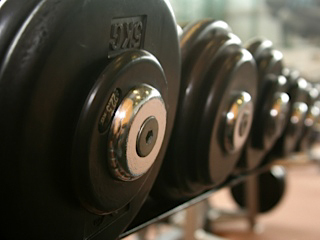 There's more to working out than just putting up impressive bench press numbers. Here's a list of other numbers to strive for. When you hit these numbers, then you can consider yourself one of a select bunch that's made it in the gym.